Good day mate! 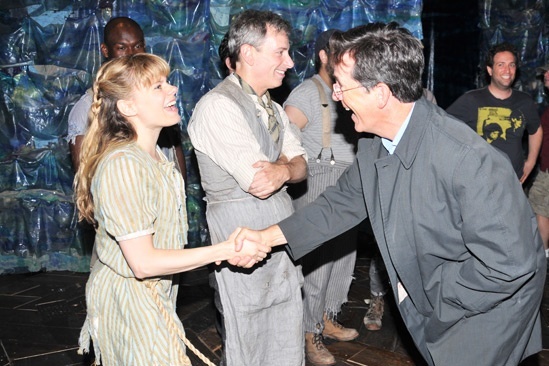 Stephen Colbert congratulates Peter and the Starcatcher heroine Celia Keenan-Bolger on her sea-worthy performance as Molly Aster. Comedy Central star Stephen Colbert takes in a performance of Peter and the Starcatcher at the Brooks Atkinson Theatre.